Send A Message To Jeannine. 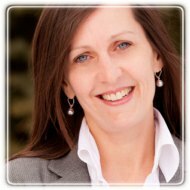 Jeannine is a Registered Psychologist and Marital and Relationship Therapist in Calgary, Alberta. Jeannine has chosen to specialize in the area of couples because of the positive impact it has on individuals, the children and the larger family. Jeannine works to identify the couples goals, the unproductive patterns and the strategies that lead to a happier and more satisfying relationship for both partners. Jeannine has specialized training and experience working with infidelity, issues of sexuality and desire, the absence of emotional connection, Communication and other related marital issues. A seasoned marital therapist has the ability to manage conflict and Jeannine has this expertise. Jeannine began her career as a separation and divorce mediator and continues to do this important work with adults and children. She has worked with high conflict adults for over 25 years and has run groups for children of divorce and worked as a therapist with children for many years. She is also a member of Family Mediation Canada. Beyond the relationship issues Jeannine has worked and has specialized training to address many individual issue such as anger management, depression, anxiety, grief and loss and companion loss issues. Lastly, Jeannine has been faculty at Mount Royal University for over ten years. She teaches in the Psychology and General Education Departments as well as in Continuing Education in the Conflict Resolution Program. This allows her practice to be supported by the most recent research.